HTC has recently launched its flagship HTC 10 smartphone and has been in the news about the launch of a mid-range smartphone in its Desire series. The brand has today officially launched a mid-range smartphone in its Desire series called as HTC Desire 830 in Taiwan. 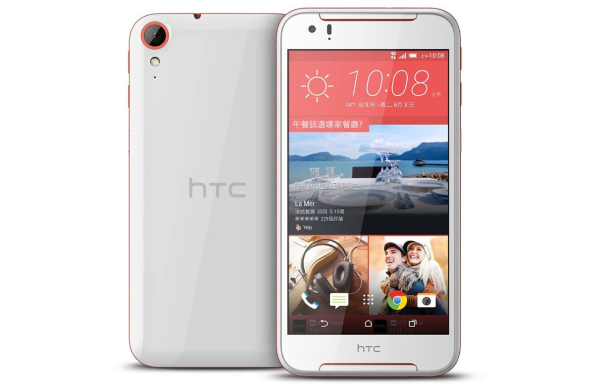 The smartphone is the successor of HTC Desire 825 that launched at MWC 2016 event in Barcelona. The HTC Desire 830 is priced at NT$ 9,990 (approx $310 / Rs. 20,615) and will be available for purchase in Taiwan from May 6th. Talking about the specifications part, the Desire 830 comes with 5.5-inch (1080×1920 pixels) full-HD display and offers a pixel density of 401ppi. Under the hood, the smartphone comes equipped with 64-bit MediaTek MT6753T octa-core processor clocked at 1.5GHz paired with Mali-T720 GPU and 3GB of RAM for lag-free performance. It runs on Android 5.1 Lollipop based HTC Sense 7 UI overlaid and will be further upgraded to Android Marshmallow in near future. It has 32GB of built-in storage that can be further expanded to 2TB via an externalSD card slot. On the camera department, the device features a 13MP rear camera with BSI sensor, OIS, f/2.0 aperture, LED flash and supports 1080p video recording at 30fps. On the front, it has an UltraPixel snapper with f/2.0 aperture for amazing selfie clicks. The smartphone sports dual front-facing HTC Boomsound stereo speakers with Dolby Audio support for the quality sound experience. The smartphone supports dual sim dual standby and comes with connectivity options like 4G LTE/3G HSPA+, WiFi 802.11 b/g/n, Bluetooth 4.0, GPS/GLONASS and microUSB 2.0 port. The handset packs a 2800mAh battery that is rated to last for an entire day on single charge. The HTC Desire 830 measures 7.79 mm thickness and comes in White with Orange and White with Blue color variants.